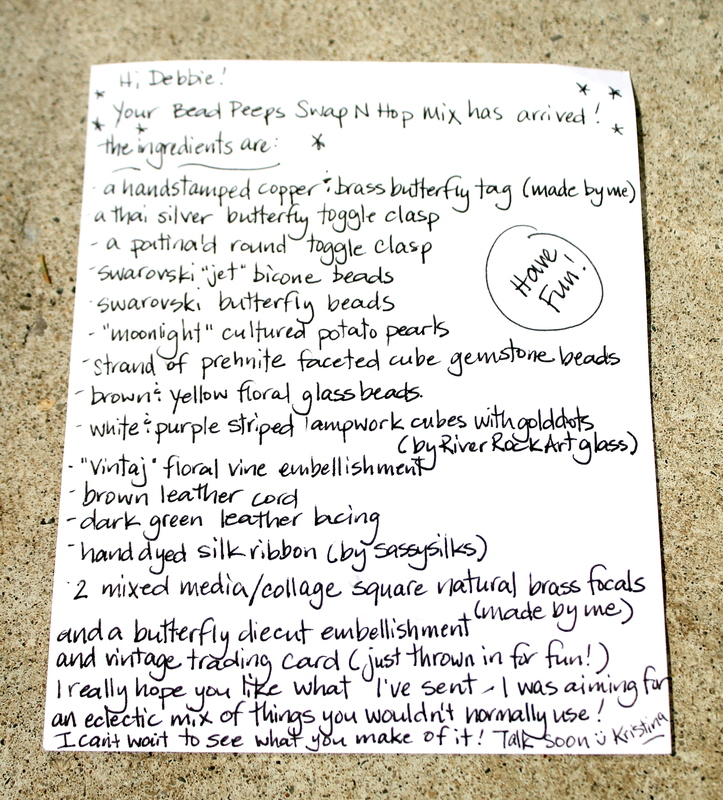 2015 BEAD PEEPS SWAP ‘N HOP REVEAL! The day came for me to package up goodies to send to Kristina and i must admit I had so much fun sending her a collection of goodies to play with and some fun ideas for storage and of course to munch on while creating her pieces for the swap, that i may have gone a tad overboard! This is my first swap and I wanted to make an impact! Here are the components that I sent her. 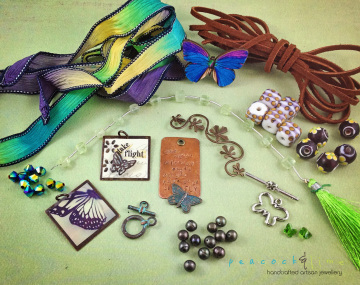 These components are items I felt that she would find useful and “Up her Alley” along with some other items to challenge her such as my signature real butterfly wing pendants in both natural shapes and domed pieces that magnify their beauty within. All my butterflies are ethically farmed globally which teaches communities to save rainforests and learn sustainable practices like insect and plant rearing rather than slash and burn agricultural employment. You can imagine the excitement when I received my package from her. Seriously..I was like a kid at Christmas. I made a special coffee and sat at my table ready to dive in and explore. I squealed a few times which made my cat jump and give me a dirty look! Here is a photo of the fun goodies I received taken by Kristina! I created this fun necklace using green soft leather lacing from Kristina with these beautiful grey potatoe pearls in between these magnificant lampwork cubes. 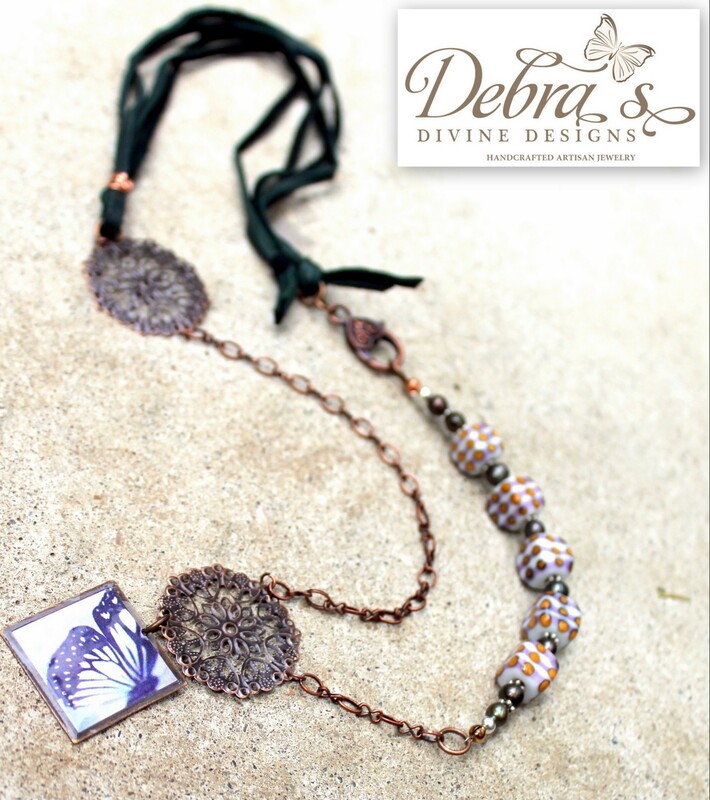 I added a few of my own items such as copper chain, heavy copper lobster clasp, copper filigree focal circles and hung one of the handmade brass square pendants with a butterfly image on it made also by Kristina. 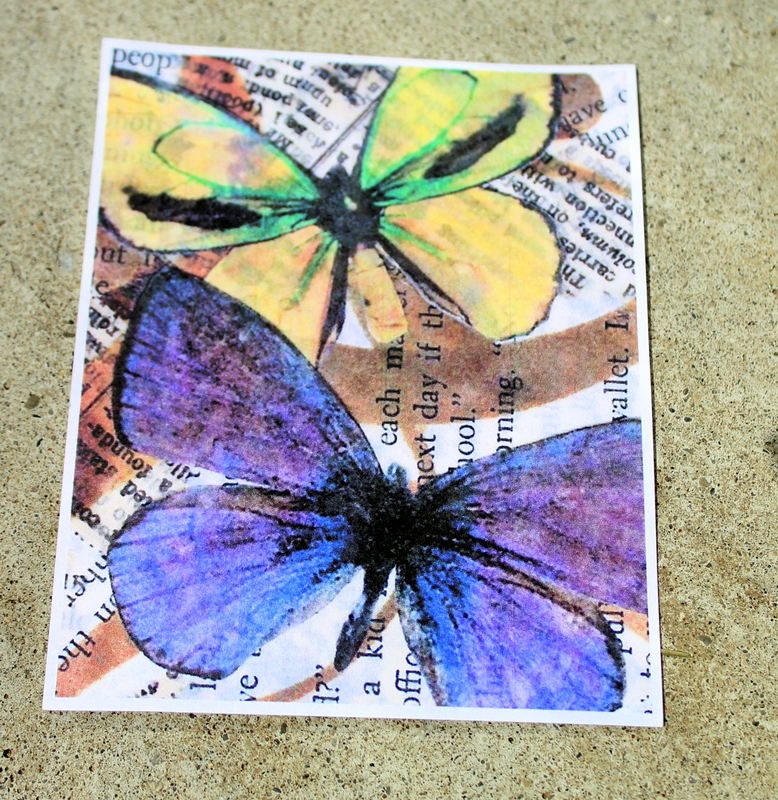 The inspiration for this piece came in the beautiful vintaj brass floral vine component that Kristina sent. 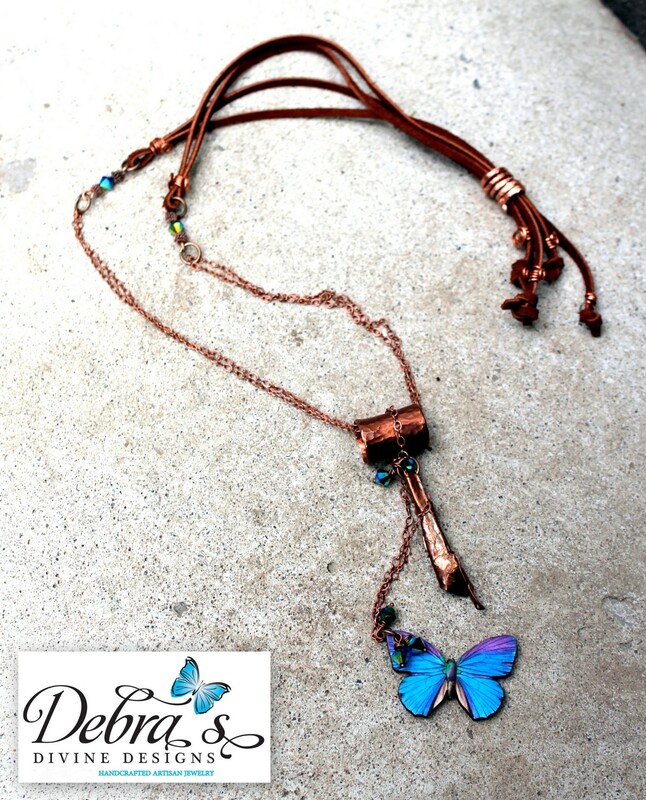 I kept it simple by adding some copper chain with magnetic clasp and used accented the delicate vine with brown/clear crystal rhondelles and the pretty green butterfly crystal pieces in my gift! I created this piece using stainless steel wire forming a swirling torc (european open fronted choker). 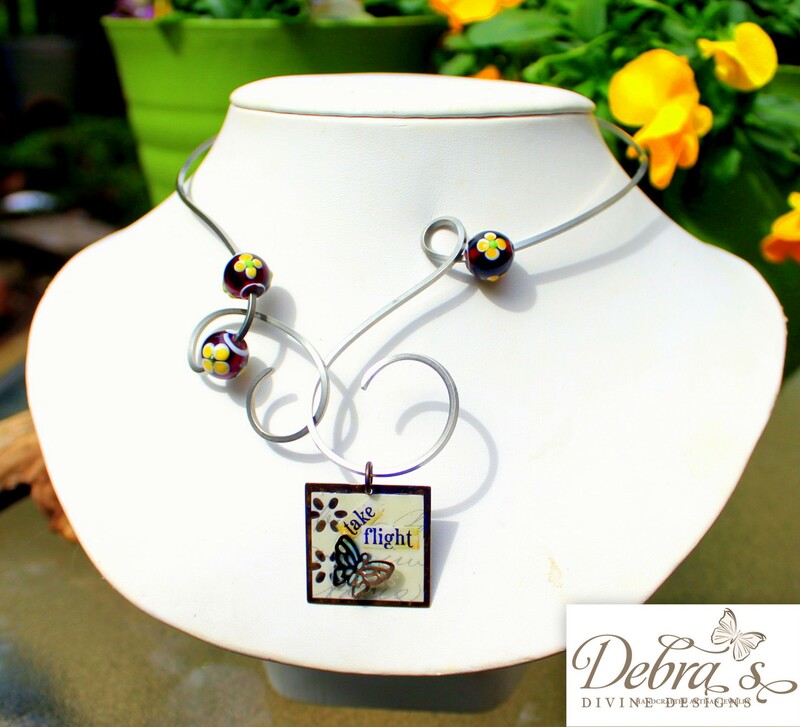 I wanted the wire to represent the flight of a butterfly weaving too and from the lovely flower glass beads dripping in the magnificant handmade pendant from Kristina. The photo shows the torc hooked but can be left unhooked as well for wearing. I really love this necklace. 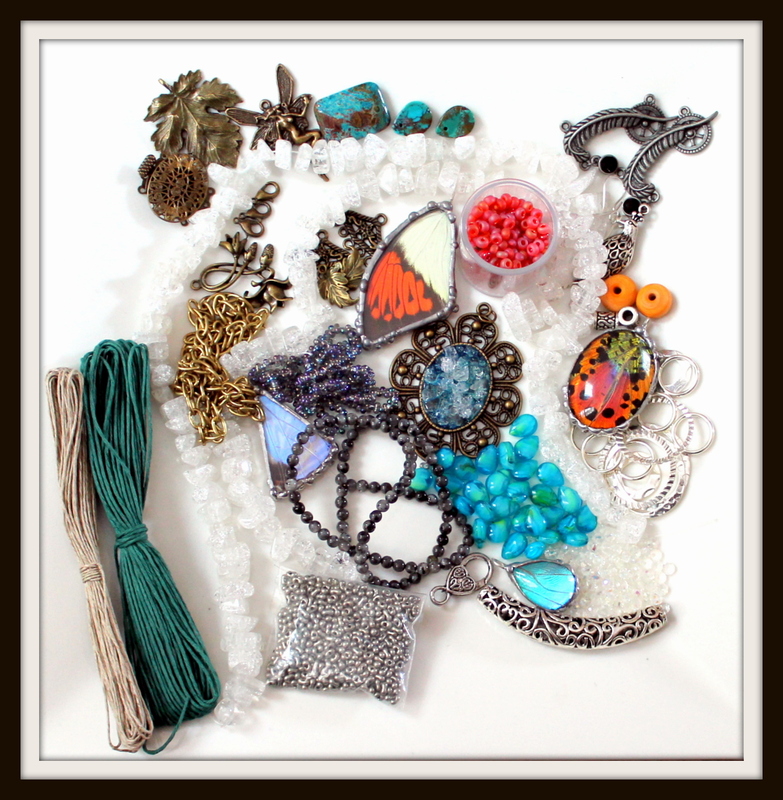 I used most of Kristina’s giftings but included a round madagascan sunset moth pendant and some sterling silver chain. The piece has the lovely hand dyed silk ribbon (SassySilks) and goreous pale green prehnite faceted cubes with silver ball spacers in between. 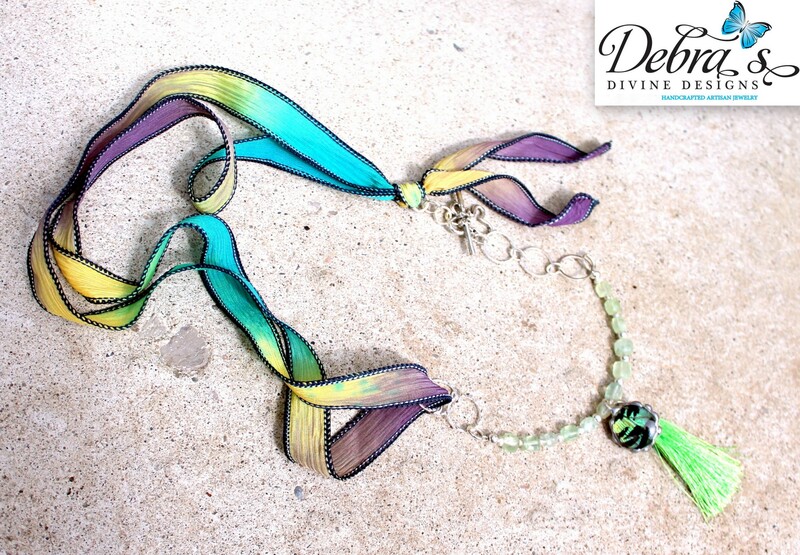 At the bottom where the sunset moth domed pendant is hangs the pretty silky green tassle. The piece connects with the silver butterfly toggle under the knot of the silk ribbon. This piece was fun to make. I added a few items such as copper chaining, form folded copper pendant and hammered copper tubing. I drilled a hole through the pretty blue die cut wooden butterfly and hung it at the bottom as the main focal accenting the long piece with the blue swarovski jet crystal beads that compliment this butterfly so well. I used twisted copper wire to form a tube at the top to secure the strands of brown leather suede at the top of the necklace. I highly recommend popping over to Peacock & Lime’s website Go drool over some of the most unique jewelry pieces you have ever seen! She is a fellow Canadian too! 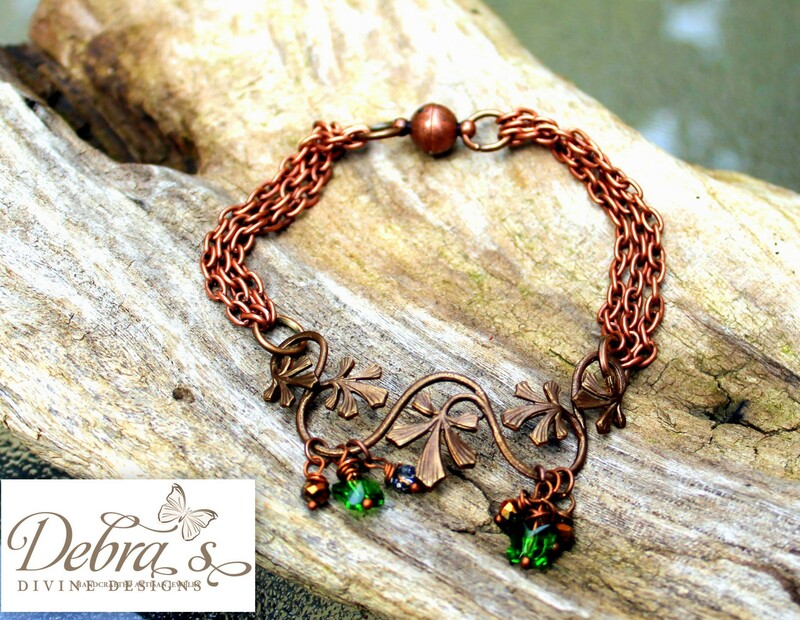 Kristina’s Facebook page has some of the best photography shots and if you too are a jewelry designer, just check out her photography style and great models! And lastly, go follow her Blog. She even teaches courses on packaging and branding, so you will want to check here often!